Don’t give up the ease of laid out lesson plans which a boxed homeschool curriculum provides because you have active boys. 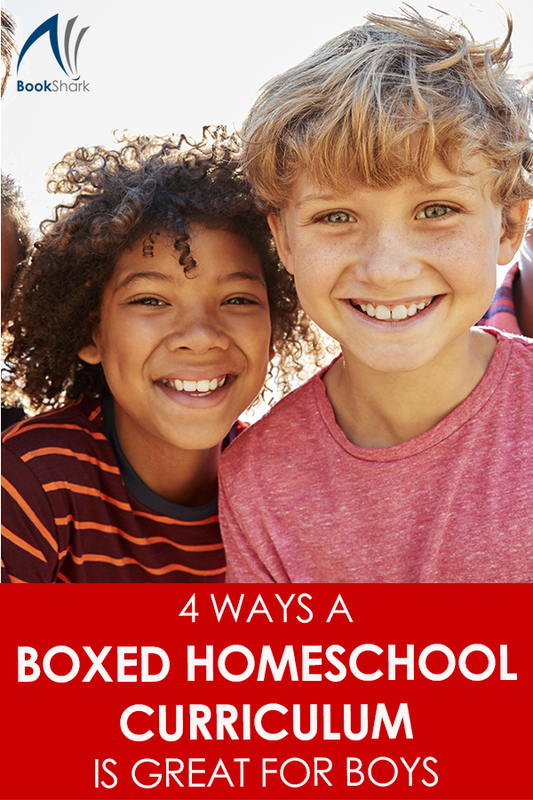 Here are four ways that a boxed curriculum turns out to be a very boy-friendly option. There is no one size fits all solution for boys. However, one thing most young boys have in common is the need to wiggle. Because a boxed curriculum eased my teacher prep time, I had leisure to look plan and add activities for wiggly learners. For example, when reading Where the Wild Things Are, I made paper bag puppets with three of my sons.The puppets brought the story to life and helped my boys remember the plot. The instructions for a scheduled reading worksheet was to write in the words with the long /e/ sound. Knowing my boys' aversion to writing, I had them write the words on balloons instead of filling out the worksheet. That one little twist made the activity more fun fo them. We blew up the balloons and the boys spent the rest of the afternoon batting them about while memorizing words with the long /e/ sound. When teaching my boys writing, it took more teacher effort to unleash their writing creativity. Video games, sports, technology and plain old silly things are not topics that always fall into the realm of what most teachers feel are writing-worthy. Struggling to teach beginning writing, I didn’t have to give up the teacher support in the boxed curriculum when the writing topic didn’t engage my boys. I could easily substitute a boy-friendly writing topic and still teach the different writing genres presented in the lesson plan each day. Grammar is not only about rules but about listening and using good speech every day. Knowing that my boxed curriculum had well laid out, sequential lesson plans, I could focus on creating engaging activities for my boys. Instead of studying grammar on their own, the most effective tool was to do grammar together and orally. For my older boys, who are close in age, we made learning grammar a game. Following the teacher’s manual, I explained to the boys what they were learning for the day. As they repeated back to me what they learned, they scored points. At the end of the week, I let them dip into a treasure chest I kept full of surprises from the dollar store. Taking boys’ natural desire for healthy competition made learning come alive. If it looked like the competition was moving from helpful to harmful, I would change the game to a simple hide and seek indoor game. I would write words or grammar rules on index cards and hide them around the house. Each of my boys, including my younger son had an equal chance to find the cards. Boys are all about racing with each other, and this method worked too. I never felt that I wasted the worksheets because I could use them later for a quick review or used half of them to reinforce what they were learning. The peace of mind that I was covering grammar well was more important to me than a few pages that my boys didn’t do. When my boys were young was not the only time I used stress-reducing boxed curriculum. My husband fell very ill one year, and I could not sit down with my high school son to plan his next year. By that time, my son liked predictable schedules and thrived on routine. Pulling out the boxed curriculum, my teen could follow the clear cut guidelines to know what was expected of him each day as I spent time in the ICU with my husband. Knowing what my high school son had to do each day and that he was progressing to graduation lightened my load at a time when I was stretched thin. More importantly, my son graduated with excellent grades and a love of learning was stimulated and not stifled by a boxed curriculum. Besides providing a framework to follow, there is no shortage of lesson plans and review to choose from when using a boxed curriculum. 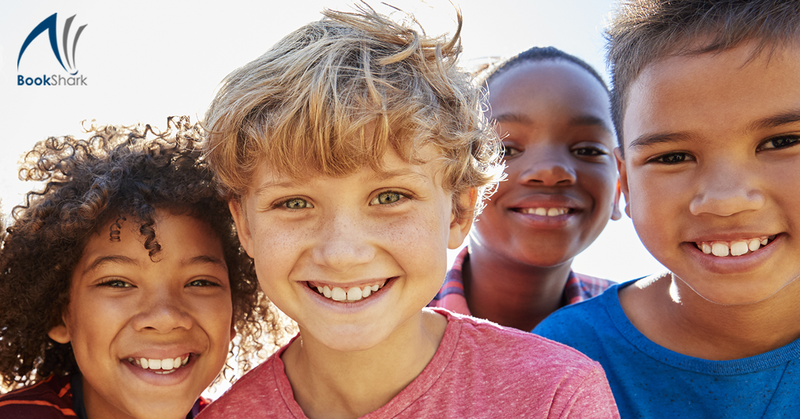 Individualize boxed curriculum to fit all the pent-up energy you deal with day to day by using one of these four ways and free up your time to build a strong mom-son bond. To me, that is worth anything! Tina Robertson celebrated the graduation of Mr. Senior in 2013 and Mr. Awesome in 2015. 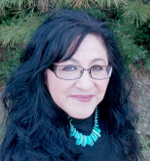 Because of her love for new homeschoolers, she mentors moms through her unique program called New Bee Homeschoolers. She loves all homeschoolers, though, as she shares her free 7 Step Curriculum Planner, unit studies, lapbooks and homeschooling how tos. She can't sing, dance, or craft, but she counts organizing as a hobby. She is still in the homeschool trenches blogging at Tina's Dynamic Homeschool Plus.